These are all three coats and make me ready for spring! These are not typical colors for me, but I found them quite nice and although I usually don't like to do 3 coats, I didn't mind here since I got such a nice result. I especially think they will make nice pedi colors once sandal season hits. 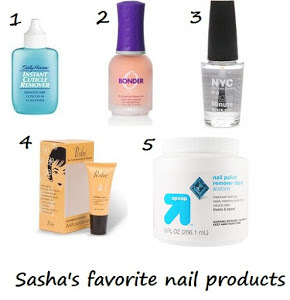 Disclosure: These polishes were provided to Sasha by China Glaze. Ooo, those are really pretty! I don't know why but Peachy Keen is my favorite of these three. Normally I hate anything and everything peach or orange colored. These colors do remind me of Skittles! I am just loving Lemon Fizz!